The Srikakulam Lok Sabha constituency represented by young Telugu Desam Party leader Kinjarapu Ram Mohan Naidu is in the northern tip of the state of Andhra Pradesh. It is also home to “Uddanam nephropathy”, a medical phenomenon spread over 100 villages in Kaviti, Sompeta, Kanchili, Itchapuram, Palasa and Vajrapukotturu blocks of Srikakulam district affecting over 35,000 people. The records show over 5,000 deaths due to renal failure. Separate studies by Harvard and the Centre for Cellular and Molecular Biology, Hyderabad, have confirmed a genetic predisposition of that population to kidney problems. Jana Sena Party chief Pawan Kalyan played an important role in highlighting the plight of thousands of poor peasants of Uddanam. He led a movement forcing the state government to set up a free-dialysis centre in Kaviti. He even demanded that the government adopt children of those who died of renal failure. “It is unfortunate that the health issue that has a direct bearing on the economic health of poor peasants of the district was neglected by the state and central governments for years. 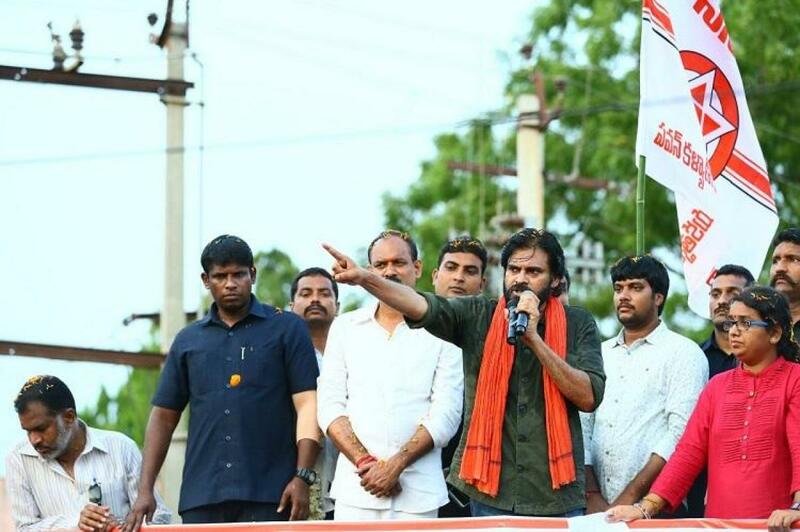 If Jana Sena comes to power, we will not only stop the further spread of the disease but also provide succour to the affected,” Pawan Kalyan had said. Another flashpoint in the Srikakulam constituency is the proposed Kovvada nuclear plant in the Ranasthalam block. In all 1,916.27 acres of land, including 604.12 acres of private land, will have to be acquired for the 6,000 MW project. As per the government’s estimate, 1,983 people in five villages of Gudem, Kothapalem, Tekkali, Jeeru and Kovvada will be displaced by the nuclear plant. The Left parties have organised a series of protests and the villagers have sat on relay hunger strikes. With the Westinghouse Electric of the USA going bankrupt, the project has been put on the back burner. TDP candidate Ram Mohan Naidu defeated YSRCP candidate Reddi Shanti by a margin of 1,27,572 votes in 2014. Former ZP vice chairperson Duvvada Srinivas is contesting on the YSRCP ticket this time. While the TDP won six out of seven Assembly segments in Srikakulam, later in 2015, YSRCP MLA Kalamata Venkata Ramana of Pathapatnam joined the TDP. Even as the Jana Sena has fielded its candidate in Srikakulam, the fight remains keen between Ram Mohan Naidu and Srinivas. However, the TDP has an edge because of the personal charisma of Ram Mohan Naidu.